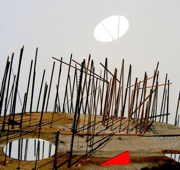 The Creative Audio Archive (CAA) is a Chicago based center for the preservation and investigation of innovative and experimental sonic arts and music. 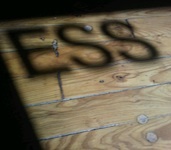 CAA is an initiative of the Experimental Sound Studio (ESS), formed in response to growing concerns over the general state of historical preservation of non-mainstream audio, in particular, recordings, print, and visual ephemera related to avant-garde and exploratory sound and music of the last five decades. Thank you to everyone who made our Kickstarter a success! ESS develops interpretive programs for the public to meaningfully engage with the archives in a broad range of contexts. Programs include educational colloquiums and tours, artist commissions to research and present new compositions or visual artworks based on the holdings, curated online exhibitions of collection material, and exhibitions and performances presented on-site and throughout the city of Chicago that bring to life the rich historical treasures in the CAA collections. Access to the collections and the MP3 listening station is open to the public by appointment. Contact us for more information. The Penumbra Music Collection spans from its inception in 1994 until 2015 and covers commercial, beta, and live recordings of the label as well as administrative records. The ESS Collection is a continually expanding collection of all of ESS's programs and projects since its inception in 1986. 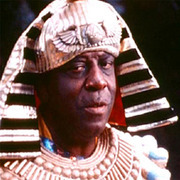 The Sun Ra/El Saturn Collection consists of approximately 600 tapes dating from the 1950s-1993 that represent the work of iconoclastic composer and bandleader Sun Ra. 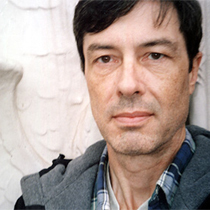 The Malachi Ritscher Collection represents the work of Chicago sound recordist Malachi Ritscher. 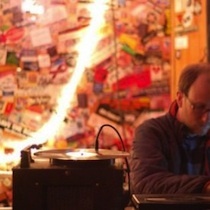 Ritscher was a passionate supporter of Chicago's improvised music jazz scene. 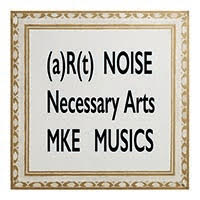 The (a)R(t) Noise / Necessary Arts Collection consists of 33 music CDs with different assortments of musical arrangements and including a diverse amount of musicians and instruments. The collection represents the work of Milwaukee writer, sound and visual artist, and life-long entrepreneurial scholar Thomas Gaudynski. 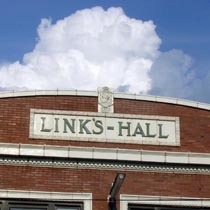 The Links Hall Collection contains recordings of over 135 events of spoken word, performance, and music that took place at Chicago's Links Hall, a multi-disciplinary project space founded in 1978 by Bob Eisen, Carol Bobrow, and Charlie Vernon.